“Wh at do you mean when you say ‘small town church? '” I have received this question more than any other as I attempt to share my research and findings with people, and ask scholars from around the country their opinions on small town ministry. How does one go about defining small town churches? Is a small town a few hundred or a few thousand? What if the town is near a major city but has that “small town feel?” To someone who grew up in Houston (like me) a small town might seem like 50,000 people! Zeroing in on what “small town” means helps provide focus and clarity for my project, and helps address the challenges of small town ministry. A “Nonmetro Non-core” county is a nonmetropolitan county without a single core area containing at least 10,000 people. A “Nonmetro Micropolitan” county is a county with at least one core city of 10,000 to 49,999 persons. These core population centers act as social hubs for the surrounding small towns and villages. Non-core counties are the most rural of all counties, many having less than 10,000 residents in the entire county. The county my church is in has just over 10,000 residents, making us a Non-Core county. Out of 3,142 counties in the United States, well over half (1,378) are Nonmetro Non-Core. Over 20 percent of the counties in the nation classify as Nonmetro Micropolitan, which means that over 65 percent of counties in the U.S. are nonmetropolitan in population size. …in towns measured by the population in the surrounding county more than the population in the town they are in. This is problematic because it defines rural as simply “not urban.” Rural people are more than the leftovers of developers and industry. …by the U.S. Census Bureau’s definition, in towns of less than 10,000 people. 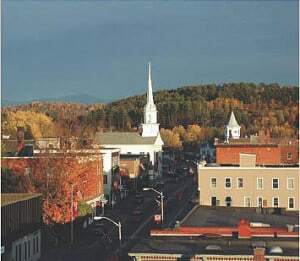 Rural towns and places exist in proximity to cities with, 10,000-49,999 people, so a small town is less than 10,000 people. …called to reach a considerable portion of the population. Rural people make up a significant minority of folks in the United States (over half of all counties!) and need to be equipped for ministry in their cultural contexts. Many small town churches may have low self esteem because they see their ministries as not having significant kingdom impact. Nothing is further from the truth! …closer to most natural resources than their urban counterparts, placing them on the front lines of creation theology and stewardship. What do you think of when you hear the word “rural,” or the phrase “small town?” Do the numbers add up for you? Based on popular definitions of “rural,” what observations can you make about small town churches? I look forward to hearing your thoughts and comments below. David L. Brown and Kia Shafft, Rural People and Communities in the 21st Century – Resilience and Transformation (2011, repr., Malden, PA: Polity Press, 2014), Book Jacket. Thanks, Dr. Christian! I have fun sharing my ideas and research, and soon hope to have more guest bloggers as well as I continue adding content. Blessings to you.